Just about every camera app offers some way to control the zoom level, and Google's camera app is no different. For a long time, the primary method of zooming was to use the pinch-to-zoom gesture. 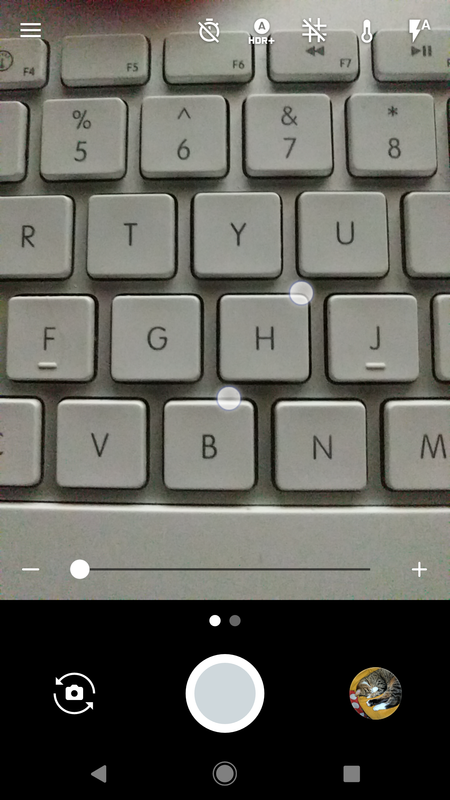 Alternatively, there's a setting that maps the physical volume buttons to zoom, but that's about it. 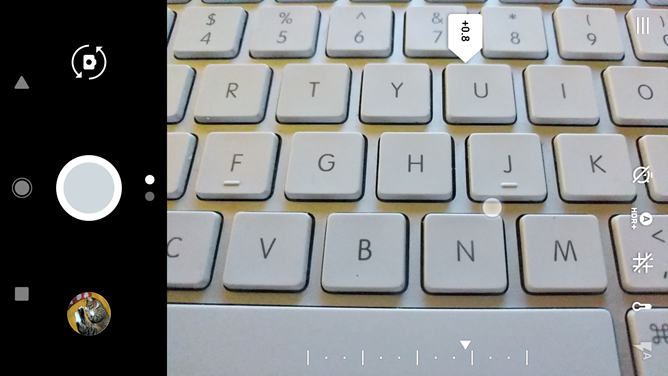 The latest update brings an additional component to the zoom controls. After using the pinch gesture, a zoom bar will appear at the edge of the viewfinder closest to the shutter button. 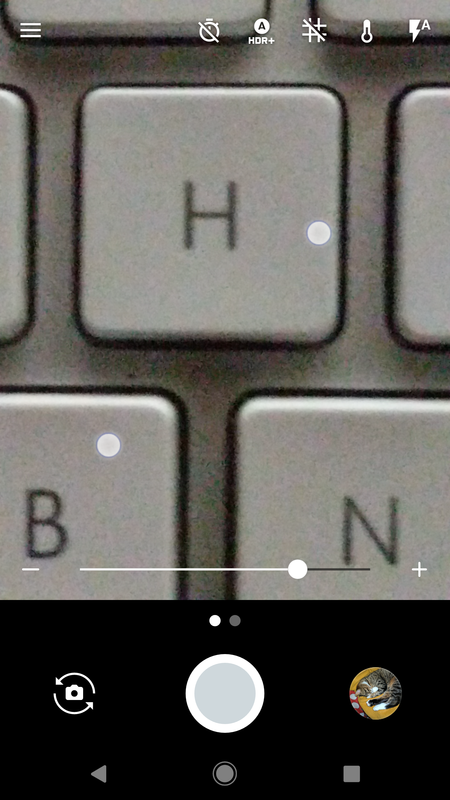 It shows how closely zoomed the camera is and has minus and plus buttons at each end to perform further adjustments. A small handle can also be dragged along the line for fine adjustments, and this has the added benefit of showing a label with the zoom level. Strangely, there appears to be no any way to bring up the zoom bar through any method other than pinching. Combination of taps, swipes, and button presses have done nothing to reveal it. 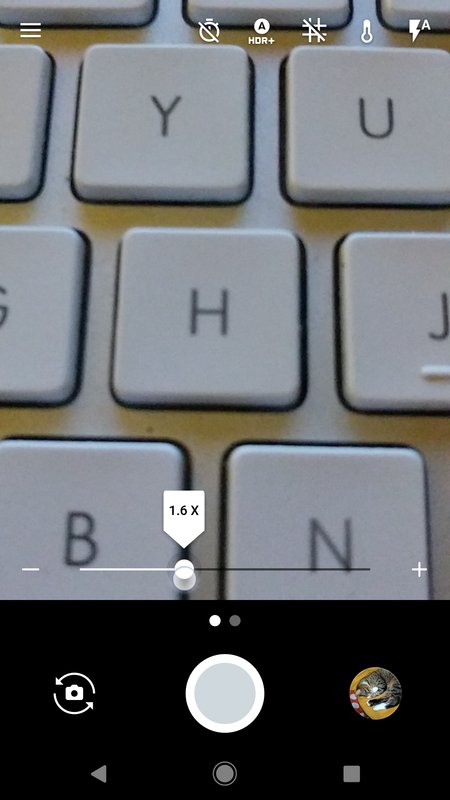 Even when the volume buttons are mapped to zoom, they do not bring up the new control. The zoom bar is a nice addition, but it's a bit too hidden and not entirely convenient to access. I would guess that it's probably going to be more prominent in the next release. The exposure control overlay got a little bit of attention on this update, as well. One tap anywhere on the viewfinder (except on a button) will bring it up, and then adjustments can be made by sliding a finger up or down (or side-to-side in landscape orientation). However, in previous versions, the overlay automatically disappeared after a few seconds without interaction from the user. The new version tweaks this behavior to be a little more informative. Now if the exposure adjustment is set to anything other than 0.0, the control will stick around until you tap to refocus, take a picture, or take some other action that tells it to get out of the way. This isn't really a big change, but it might be a good visual clue to users that might not have realized they've changed the exposure. 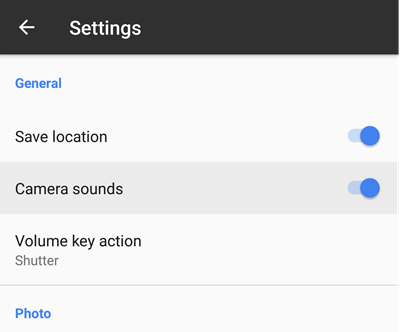 And finally, there's a pretty familiar addition: The option to mute the camera sounds. This is a pretty standard feature in most other camera apps and I'm sure it requires no explanation. In this case, it disables both the shutter click and the countdown beeps that come with using a timer mode. 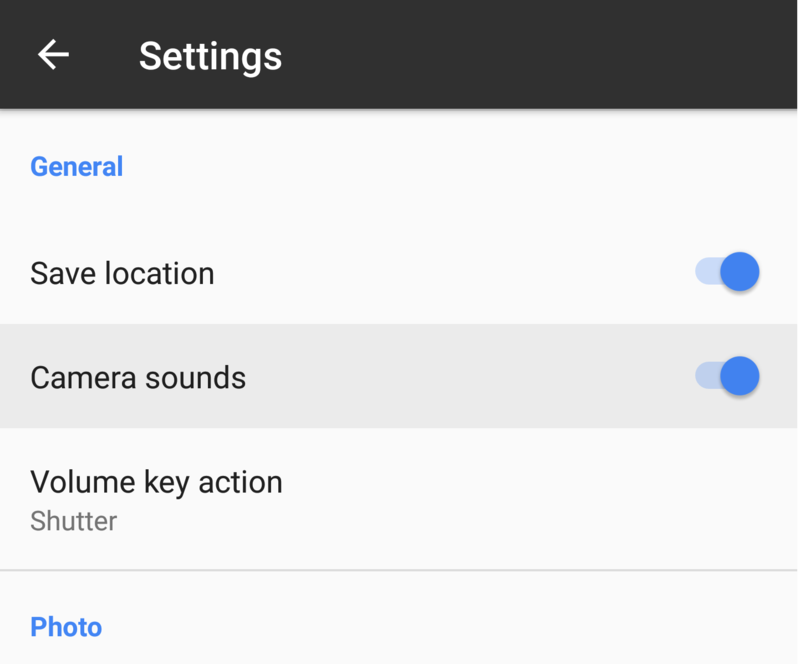 With camera sounds disabled, users won't have to change their system volume each time they want to snap a picture without drawing the attention of nearby animals, bothering people in very quiet settings, or whatever scenario might call for absolute silence. Note: This feature may not be available in some countries. This is possibly due to local laws that specify cameras must make a sound.